Common Good Bank is a project of Common Good Finance, in cooperation with partner organizations. Each of the partners helps to move the project forward in some substantial way: funding, publicity, oversight, technical assistance and/or active planned participation in the Common Good Bank model at the local level, once Common Good Bank opens. Partner with us! Click here for the complete list of partners. Center For The Advancement Of The Steady State Economy advances the steady state economy, with stabilized population and consumption, as a policy goal with widespread public support. Class Action raises awareness, facilitates cross-class dialogue, supports cross-class alliances, and works with others to promote economic justice. Coop Power is a regional network of local communities creating a multi-class, multi-racial movement for a sustainable and just energy future. Earth Action informs and inspires people everywhere to turn their concern, passion and outrage into meaningful action for a more just, peaceful and sustainable world. Empowerment Works! 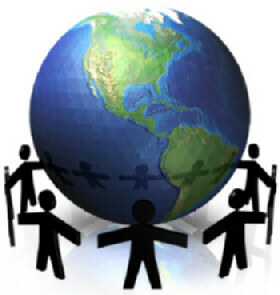 is a catalyst for community-led action, devoted to the genesis of a global partnership for a sustainable world. Gasoline Alley Foundation teaches inner city youth and/or underprivileged persons to be successful entrepreneurs while revitalizing inner city neighborhoods, with a concentration on socially responsible/sustainable business practices. Meadowbrook Lane Capital (MBLC) Investment Bank serves businesses that value social responsibility as a sustainable economic driver, a strategic cornerstone, and a source of competitive advantage. New England Small Farm Institute supports sustainable small-scale agriculture and beginning farmers throughout the Northeast. Peace Development Fund works to build the capacity of community-based organizations through grants, training, and other resources as partners in human rights and social justice movements. Post Oil Solutions advances cooperative, sustainable communities in an age of global climate change and declining fossil fuels. Common Good Finance promotes compassionate, community-based democratic economics. United for a Fair Economy raises awareness that concentrated wealth and power undermine the economy, corrupt democracy, deepen the racial divide, and tear communities apart. Supports social movements for greater equality. Advisors in blue type will serve on the initial board of directors of Common Good Bank, along with representatives from partner organizations. * Organization names are for identification purposes only and do not imply formal affiliation or endorsement. Contact Us | Join | Donate | Deposit? | Invest? | Tell Someone!